"Return to Sender Part 2"
On the season 2 finale of Major Crimes, the squad closes in on a serial killer while Rusty decides to take a stand. The team fights to stop a serial killer while Rusty ends up in a dangerous games of chess on Major Crimes. A supervisor for Special Investigations searches for the person threatening Rusty and Sharon while the team investigates when a bomb goes off at a used car lot on Major Crimes. 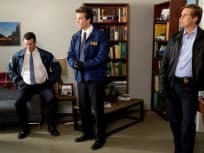 An investigation shows how each member of the team came to join the force and Fitz comes on board during a joint investigation with the FBI on Major Crimes. Christmas vacation is put on hold when a baseball scout's murder leads to an intricate kidnapping plot on Major Crimes. When a body is found at an exclusive country club the squad heads up the investigation on Major Crimes. When a therapist questions a parolee's mental state, the squad tries to track him down on Major Crimes. Major Crimes is back! On this episode, the team looks into the drug-related deaths of two siblings. Rusty gets some extra freedom just as a spree killer terrorizes the area on Major Crimes. 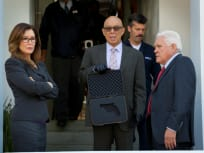 The squad runs into problems with a judge when they suspect that the murder of a teen prostitute is connected to a much bigger criminal operation on Major Crimes. A suspicious death has the squad interacting with the older residents of an apartment complex while Provenza worries he could be put on desk duty permanently on Major Crime. A media frenzy makes the case of a young Latino man found dead at the home of an award winning swim coach all the more difficult on Major Crimes. Captain Raydor and her team investigate their latest case on this week's Major Crimes. The division leads a frantic search for a missing child with gender identity issues while Raydor's husband tries to make up for the past on Major Crimes. A drug bust gone wrong leads to a brutal slaying and Raydor's ex-husband arrives and gets in Rusty's good graces but Raydor is still skeptical on Major Crimes. A material witness turns out to be the prime suspect in a murder case and stress has its affect on Flynn on Major Crimes. Things take a chaotic turn when a TV writer-producer rides along with Tao and Sanchez looking for the inside scoop on the LAPD on Major Crimes. 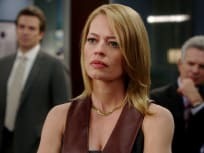 The squad works on a case of murder-suicide while Emma insists that Rusty be moved from Raydor's care when he received a threatening letter on Major Crimes. 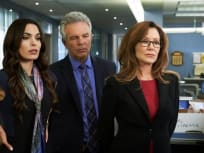 On the season 2 premiere of Major Crimes, the squad investigates when the pregnant wife of a filmmaker is killed and Raydor is questions about her intentions with Rusty. Provenza: Rusty has the right to have his guardian present! DDA Rio: His guardian? Are you saying my witness lives with you? Flynn: Okay, never ending budget crisis. The morgue can't get out here until 5 a.m.
Provenza: That's okay. She's got no other place to be. Major Crimes Giveaway: Win Season 2 on DVD!